ONCE A JET, ALWAYS A JET. 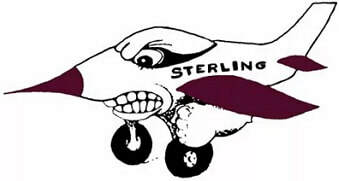 Located on Main Street in Sterling, Nebraska, the Sterling School has approximately 200 students ranging from Pre-K to Twelfth Grade and is in the Johnson County School District. Students of Sterling are proud to be learning at the HOME OF THE JETS. Sterling Public Schools will Educate Students to Excel, Prepare Students to Compete, Inspire Students To Serve and Challenge Students to Lead. Sponsored school activities vary by grade, age and gender, but there is always activity within the school for all talents and interests, including sports, art, music, math, SkillsUSA, FFA, Yearbook, FBLA, Student Council, NHS, school plays and TeamMates. For more information on Sterling Schools, please visit the webpage or contact the school directly using the information below. We welcome all new students and will provide tours and meetings with our administration for any family looking to move to the Sterling area. Go JETS! Follow us on Facebook and Twitter for the latest news, activities and updates.